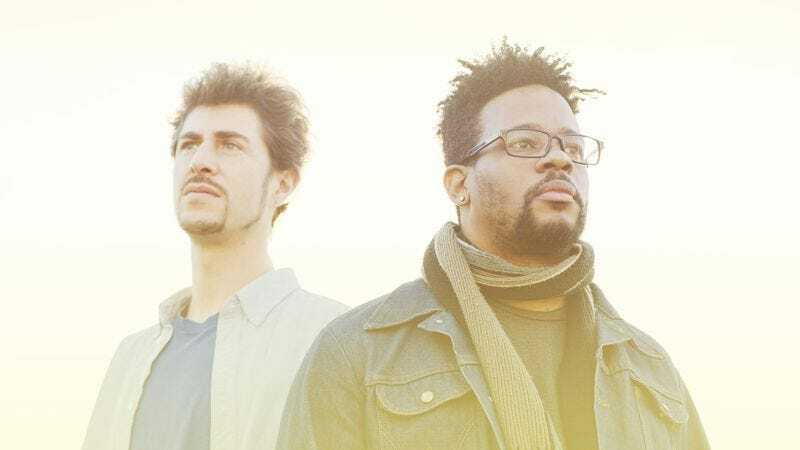 Across his many albums, it’s been hard to put Open Mike Eagle into a single box. On his upcoming collaboration record with Paul White—who also worked on Danny Brown’s breakout albums—Eagle has created his most comprehensive album yet. Hella Personal Film Festival sees White’s beats setting the stage for Eagle to rap about everything from repressed, institutionalized racism “Smiling (Quirky Race Doc)” to “Check To Check,” which takes on how anxiety-inducing the landscape of social media can be. The A.V. Club is streaming all of Hell Personal Film Festival in advance of the album’s release this Friday, and pre-orders for the record are available through both iTunes and Bandcamp now.